Kiip is the world’s first mobile rewards network that delivers tangible rewards for virtual achievements. The company’s category-creating rewards platform enables brands to reach consumers in the moments when they are most engaged and receptive, while driving revenues and greater user allegiance for Kiip-enabled games and apps. 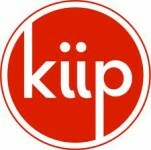 Kiip was founded in September 2010 by Brian Wong, Courtney Guertin and Amadeus Demarzi. In addition to its San Francisco headquarters, Kiip now has offices in New York City, Chicago, Los Angeles, and London. Kiip is currently backed by Relay Ventures, Hummer Winblad, True Ventures, Verizon Ventures, Crosslink Capital and others. For more information, visit www.kiip.com.